At Solar Training School we give our students the knowledge to succeed in the solar renewable energy industry by introducing them to tools such as SolarPathfinder and SolarPathfinder Assistant Software. US Solar Institute is the fastest growing professional solar energy training program in the country. 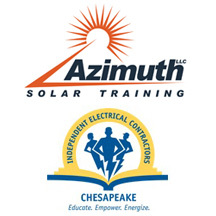 Our solar training programs, using the Pathfinder and Software, offer advantages you can use now. The Midwest Renewable Energy Association has been offering introductory to advanced courses throughout the upper Midwest since 1992. Courses offered by the MREA are taught by trained professionals in the field, are based on industry approved task analysis, and are designed to satisfy the knowledge and skill competencies for professional certification. MREA courses are offered in both face-to-face and online formats about subjects including: photovoltaics, small wind, solar thermal, site assessor training and certificates, installer training, renewable energy business, green building, alternative transportation, sustainable agriculture, and sustainable living. Everblue Training specializes in live and online short-course solar PV training. Our IREC Accredited curriculum, which uses the Pathfinder and Software, offers real-world solar PV installation skills and prepares candidates for the NABCEP PV certification exams. Everblue is a Veteran Owned Small Business and a training provider for the U.S. Department of Energy’s Solar Ready Vets initiative.